SEO is the short term for Search Engine Optimization or Search Engine Optimizer. 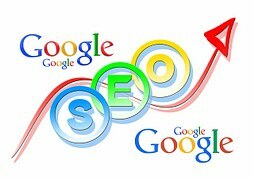 Search engine optimization is a methodology of strategies, techniques and tactics used to increase the amount of visitors to a website by obtaining a high-ranking placement in the search results page of a search engine such as Google, Bing, Yahoo and other search engines. SEO is commonly popular and it is one of the best way of promoting your website. It is cost-effective, provides long-term results, and generate leads as it reaches a target audience. In other words you will attract clients who are already interested in your service or business and you will also attract new clients. This will lead to increased sales of your products and additional promotion of your services. Hence, the organic Search Engine Optimization is very crucial to your internet marketing strategy. It builds organic visitors over a period of time whilst Pay Per Click campaign can give you instant visitors. Fast Pay Per Click will help you to build your marketing strategy for the long-term through our SEO techniques. 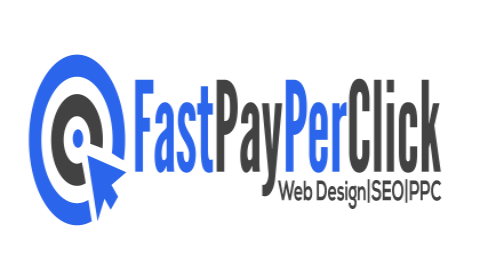 Fast Pay Per Click can help you develop a long-term SEO Marketing strategy that promotes your brand organically and drives traffic for many keywords you are targeting. It is common practice for Internet users not to click through pages and pages of search results, so where a site ranks in a search is essential for directing more traffic toward the site. The higher a website naturally ranks in organic results of a search, the greater the chance that site will be visited by a user. We are unique in our approach to business website design and Search Engine Optimization, entrust your SEO work to us and you will be found online by your customers and potential customers. Complete our online form and we will let you know how we can help you succeed online. Search engine optimization is so effective because people are telling you exactly what they are looking for, exactly when they want it. Google has changed the way its results are prioritised in recent months and now slow download speeds, high bounce rates and outdated content are being penalised. There is now a major advantage for technically compliant websites with regularly updated, engaging content to quickly rank ahead of the established competition. Your offsite reputation is just as important as your on-site optimization and continuously growing high quality links from relevant websites. Appearing on the 1st page of results for competitive keywords may take 3-9 months to achieve but your return on investment will greatly improve over time, making SEO one of the most cost-effective forms of marketing available to all types of organisation. We identify the keywords you should optimize your website for and how best to apply them to your content. Plus a technical audit gives you actionable recommendations to help you resolve the issues currently preventing your web pages from ranking effectively. We actively create new links to your website for you by building relationships with relevant websites and blogs related to your sector and writing optimised articles to syndicate via content platforms. This raises awareness of your products and services across the web as well as creating links to your website. Request more information about our SEO services today.